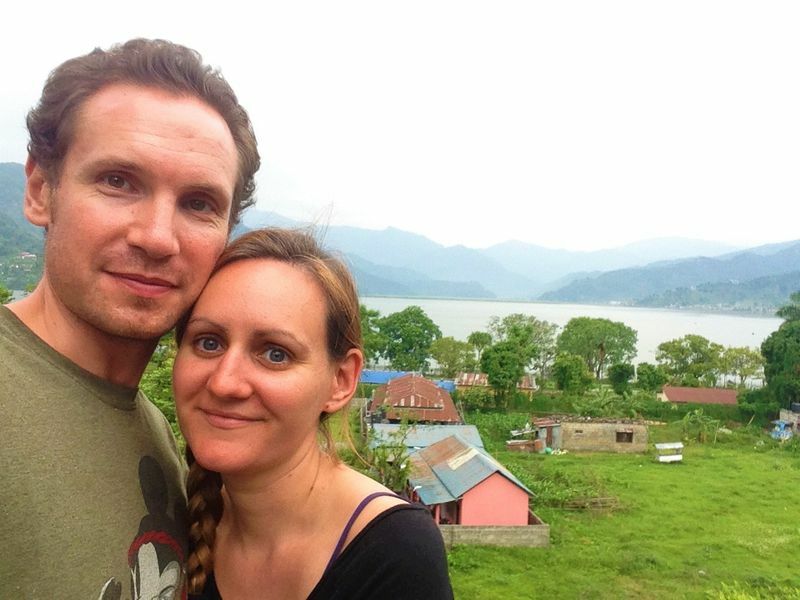 The yoga retreat was run by Robin, who became the UK’s youngest yoga instructor when she was just 16. 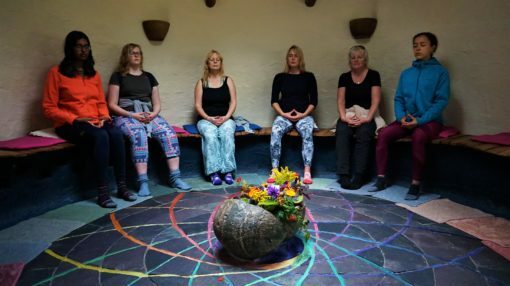 I was so impressed with Robin’s drive and enthusiasm, she has a real passion for sharing yoga and teaches classes in schools and prisons near her home in Gloucestershire. Robin has also been invited to serve on a parliamentary Yoga and Society advisory panel and runs the annual ACE retreats practically single-handed. Did I mention that she’s just 19? 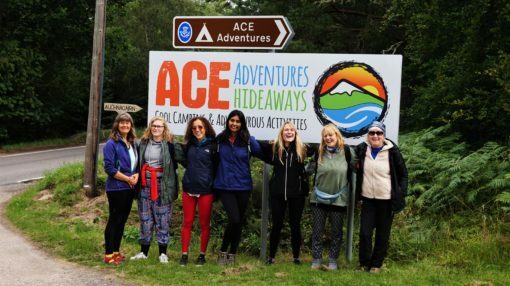 There were eight of us on this summer’s retreat, aged from 16 to over 60, including Ruby, who’d come to chill out before returning to school in September, a pair of life-long friends Angela and Sionaidh, and Ishani, who was doing her Duke of Edinburgh award. 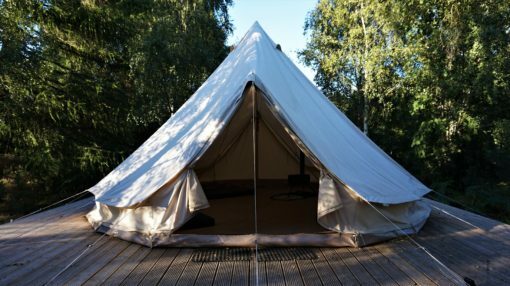 We stayed in two large bell tents on the forested camp grounds, which had mattresses and fairy lights, as well as cosy wood stoves and outdoor fire pits. 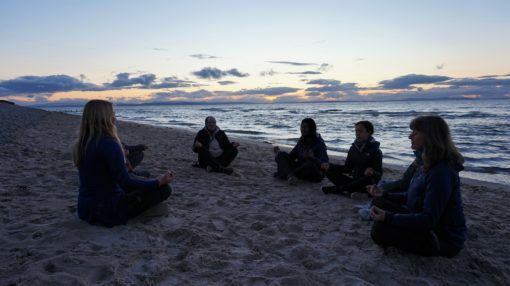 The days started with an energising yoga class and ended with meditation sessions around the fire. 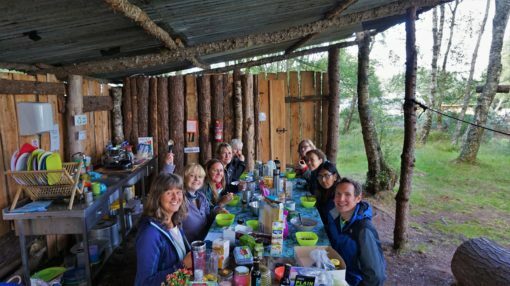 Meals were communal and vegan on request, cooked and eaten in an outdoor kitchen. We’d chat while soaking in the surrounding scenery, which was filled with trees and golden fields accompanied by the sounds of cows mooing. At night, the sky was dark and pitted with silver-white stars. 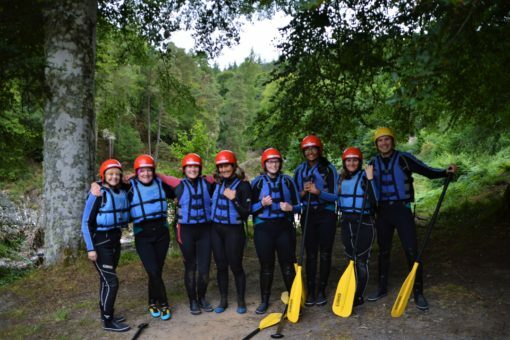 While most yoga retreats tend to focus on relaxation and mindfulness, this one has an adventure element to it: a day of white water rafting. According to Robin, this is a great way to bond as a team and practise team work and yoga techniques. When you’re on the river, she told me, you can only be present in the moment. You can’t go back upstream, you literally have to go with the flow. After canyoning and tubing the week before for a work assignment at ACE, I was feeling pretty relaxed about being back on the river. 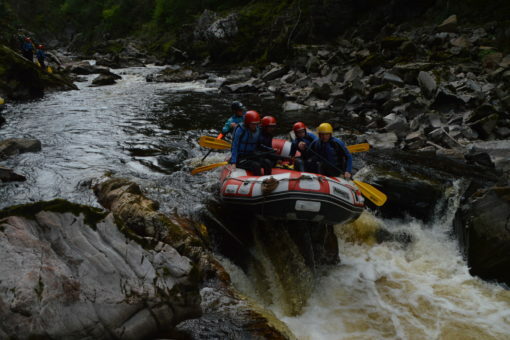 Even as we split into two teams and our guides did a safety briefing, instructing us how to paddle and what to do if the boat was to flip, I wasn’t worried. That’s an extreme situation, I thought, it won’t happen to us. Turned out I was wrong. 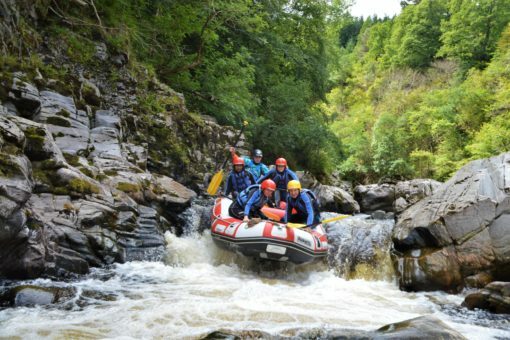 The Findhorn is a beautiful river, carved into the bottom of gneiss and granite cliffs that transform downstream into red-orange sandstone. 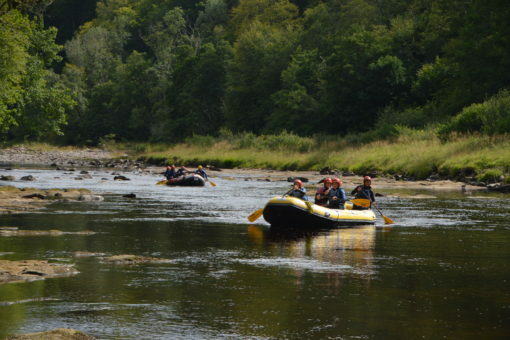 ACE is the only company that rafts here, so the water was quiet and we practised our paddling while taking in views of the surrounding forest full of birch, fir and Caledonian pine trees. 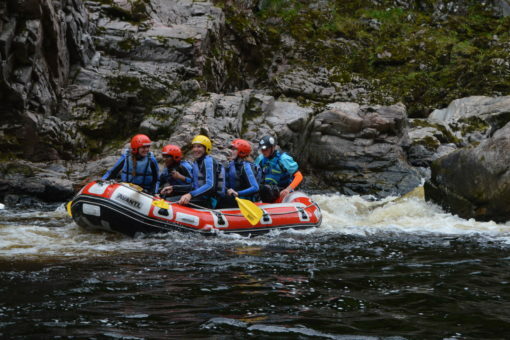 Now came the exciting part, navigating the rapids. Since the summer had been fairly dry, water levels were at a historic low this year, but we were still tackling up to grade 3 rapids with names like pinball, sidewinder and ski jump. In fact, the low water meant that we actually had more work, having to free our boat when it got stuck on rocks. It was on one such section of the pinball, as we threw ourselves to the left while stuck on a precipice, that the boat flipped and all four of us were thrown into the icy water. 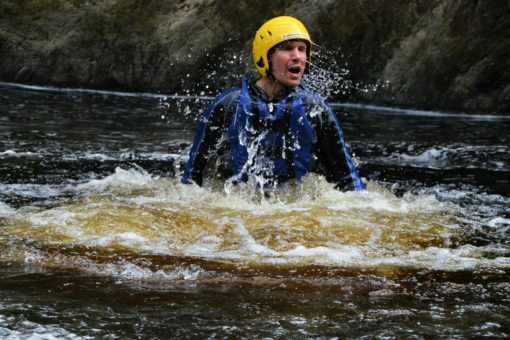 In total shock, I remember going under for a few seconds, popping up and realising I’d let go of my paddle. 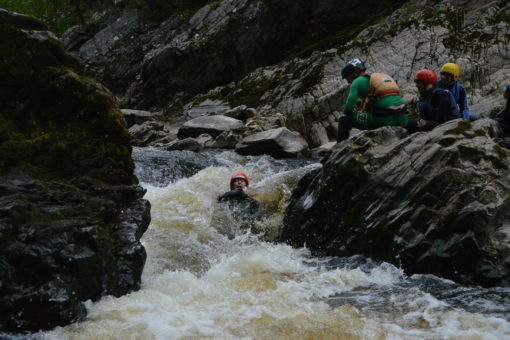 Luckily, Andrew grabbed it and there was time for him to ask if I was ok before we were swept into the next rapid. I went under again and was bashed painfully against the rocks before surfacing to see our guide by the edge of the river. As I staggered back onto the bank, adrenaline coursing through my body, I felt my knee throbbing from the impact and what would turn out to be a huge bruise forming on my bum. It took a bit of courage for us all to get back into the boat. On the plus side, the rest of the trip passed without incident and the four of us certainly bonded from the hair-raising experience. It was definitely an adventure! The rest of the retreat passed more peacefully. One of the highlights was a trip to the nearby Findhorn Foundation. This world-renowned eco-village was founded in 1962 and is home to a spiritual community of around 500 people who practise sustainable living. The Findhorn is also famous for producing giant vegetables like 40-pound cabbages! 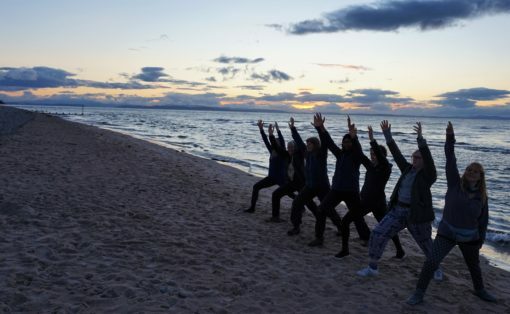 We had a yoga session in their dance studio and a two-hour tour from a Findhorn resident who’d lived there since the 70s. 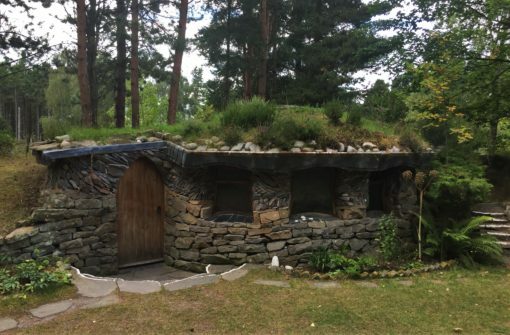 There were stone hobbit houses, caravans and barrel homes, as well as gardens, art studios and meditation centres. The striking Universal Hall holds regular theatre and music productions. To end the day, we headed to nearby Findhorn Bay, a long sand-and-shingle beach with a pretty harbour. 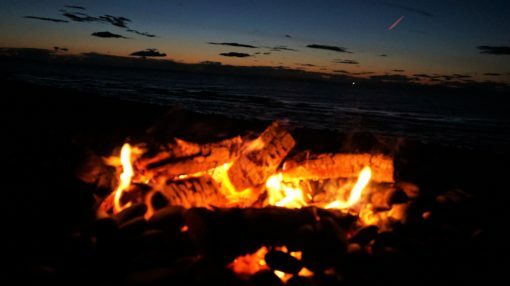 We practised yoga poses by the water as the sun set in shades of neon orange, then lit a campfire which we huddled around, eating chocolate and toasting marshmallows. It was a beautiful evening. 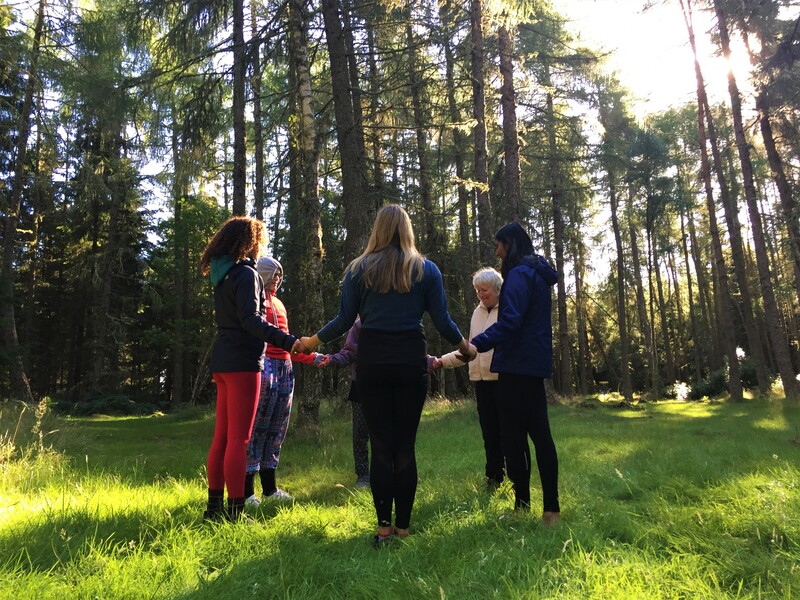 My favourite part of the yoga camp, and our entire trip to Scotland, was just being outdoors so much. The nature of my work means I’m often laptop bound so it does wonders for me mentally and physically when I do unplug and get outside. It helps that I love Scotland too. Despite the cold, the scenery is as wild as it gets in the UK with sculpted mountains, thick forests and sparkling lochs. 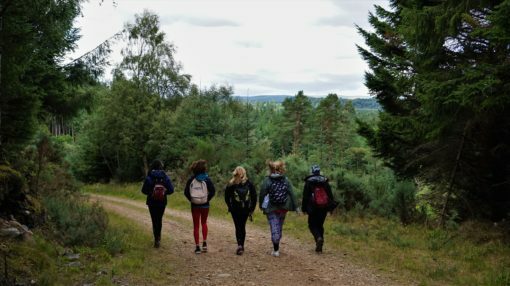 One morning we all took a long walk through the forest, following the River Findhorn, chatting and just basking in the scenery. Eventually, we reached Logie Steading, which was once a 1920s model farm and is made up of a collection of sandstone buildings. We spent some time at the café and interpretation centre, which lays out the history of the area. On the final morning of our yoga camp, we headed down to the waterfall where Robin says she first took up meditation when she was just 12. I watched the peat-coloured water crash and flow, breathing in the forest air and watching as an osprey soared overhead. The upcoming move to Portugal was looming in the back of my mind, but in that moment, it was enough to just sit and be, relishing the final moments of my first ever yoga retreat. I had no idea about this yoga retreat in Scotland. 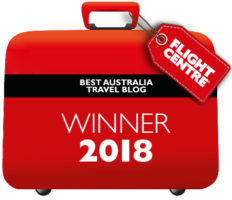 When I think of a yoga retreat images of India or Bali come to mind, but certainly your post has highlighted a possibility much closer to home. I love Scotland and it’s natural beauty, but my only concern is the weather can be very bad, looks like you had dry weather during your stay? I would definitely consider this retreat, it sounds great fun and relaxing at the same time? Wow this looks like lots of fun combining yoga and an outdoor adventure. It sure is a new way to experience yoga. It may take time to get the hang of it. But yoga is awesome when you finally learn on how to do it right. Thanks for the advice – I love yoga! Very helpful for the people who wants to live their life happy & healthy. Awesome places. Thanks – it was a great retreat!